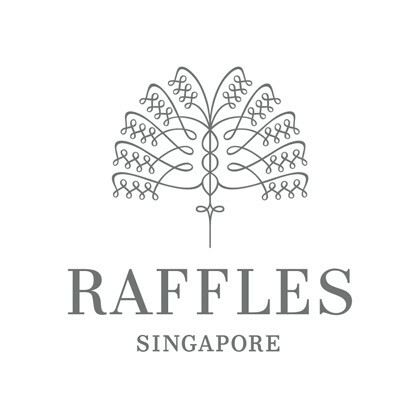 For more than a century, Raffles Singapore has offered its well-travelled guests luxurious all-suite accommodations. We will be introducing three new suite categories upon re-opening: Residence Suites, Promenade Suites and Studio Suites. A new suite category, the six Studios are tucked in the Main Building, accessed through the hotel’s charming colonial-style Grand Lobby. 14-feet high ceilings create a sense of openness and space in the living room and bedroom; the latter is configured either with a King-sized bed, or twin Queen-sized beds. Also included is a veranda that overlooks the tranquil Palm Garden. Connecting rooms are available upon request. A new suite category, the Residence is, as its name implies, ideal for long stays in Singapore. Situated in the Raffles Arcade, the five suites come either in a one- or two-bedroom configuration. Featuring a parlour, kitchenette, dining area and powder room, the Residence is a spacious and comfortable home away from home. They are named after well-known local silver screens in the early to mid-20th century, as a tribute to the neighbourhood the hotel is in, which was once known as “The Place of Cinemas”. Located along Beach Road, the Alhambra Theatre was opened in 1930, and was the first air-conditioned theatre in Singapore. Diamond Theatre was found along North Bridge Road, and screened primarily Tamil movies. Located along Beach Road, the Marlborough Cinema was once owned by prominent Straits Chinese Tan Cheng Kee. Odeon Cinema, set along North Bridge Road, was Cathay Organisation’s flagship cinema and its most successful box-office earner in Singapore. Situated along North Bridge Road, this cinema started off as a Malay theatre before specialising in Tamil movies. 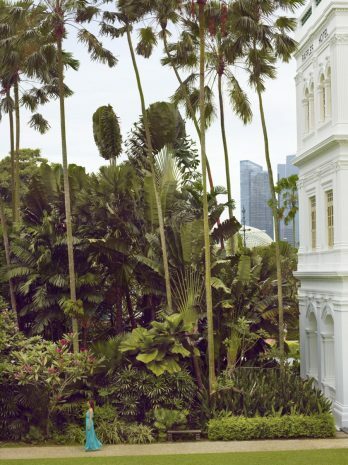 A new suite category, the Promenade remembers the days in the late 1800s when Raffles Singapore had a beachfront. The pair is nestled in the front corner of the Main Building, aptly facing Beach Road. Formerly boardrooms, they are now decked with a parlour, walk-in wardrobe and bedroom with a King-sized bed. Guests who reside here are entitled to 24h check-in or out. Lady Mountbatten was the Countess of Burma and wife of Lord Louis Mountbatten who was the Earl of Burma, last Viceroy of India, and Southeast Asia’s Supreme Allied Commander during the Second World War. In September 1945, Lord Mountbatten was in Singapore to witness the surrender of the Japanese Forces. Lady Sophia was the wife of Sir Stamford Raffles, the founder of modern Singapore, and for whom Raffles Singapore is named after.